Images bring you spellbound memories, but a good video clip of the same moments will make you remember those special moments forever. Sometimes you may get an error message stating that you can no more play the video for certain reasons, it is known fact that such type of interruptions will disappoint you. 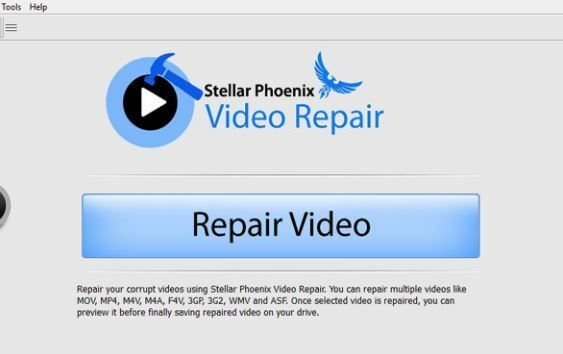 But we all know nothing is impossible in the technically advanced world, your corrupted videos can be repaired within no time using stellar phoenix video repair software. This digital video repair software fixes corrupted video within the fraction of seconds and renders a new video that can be viewed using any player. Are you able to view the video but audio is not audible? Has the corrupted video file spoiled your entire good mood? Don’t think that it is an end; you will be able to play the file successfully by restoring it to original condition using corrupted video file repair tool. Thanks to the stellar data recovery application, it helps you to repair damaged video files in any common causes that lead to corruption. Whether your system is running on MAC or windows, now it is possible to save the repaired file to the desired location. A video file is just a set of data where information is organized in such a way that players can open and read it. The file becomes unreadable if some parts of video file’s data are missed or disorganized. 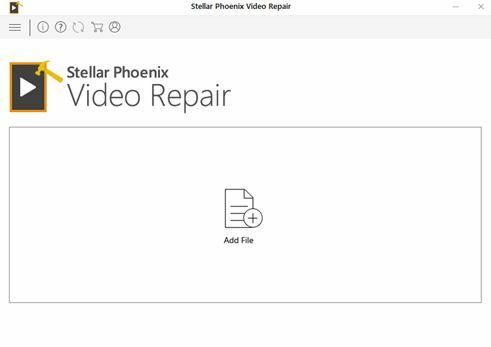 Stellar Phoenix video fixer re-arranges everything and brings back the file to normal condition. When the video repair is under process, you will be able to see the type of error that is restricting the file to play on your device. This innovative software can easily process MP4, M4V, 3GP, 3G2, F4V and MOV files. There is no limit on the number of repairs; you can fix the unlimited number of video files simultaneously. If your videos are not responding and you can’t seem to play them successfully, don’t blame your mobile or player as there is a chance that they might have corrupted. 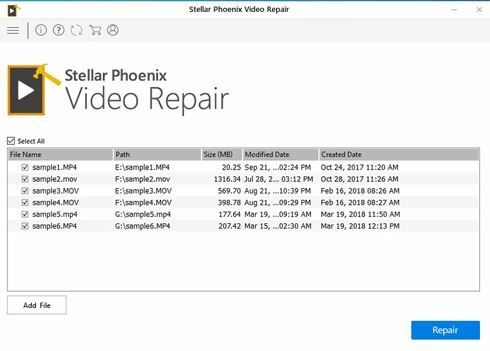 In order to restore the original content, you will have to use corrupted video file repair tools like Stellar Phoenix Video Repair. One unique feature of this tool is it helps you to look at the preview of the repaired video before saving it into your device ensuring that all issues are resolved at first attempt itself. Now I will show you step by step how to repair corrupt or damage MOV, MP4, F4V, M4V, 3GP, & 3G2 Video Files on Windows & Mac. Step2:- Select your corrupted video files and click on repair button to start repairing your files. Step3:- Video files may take time to repair depending upon the file size. 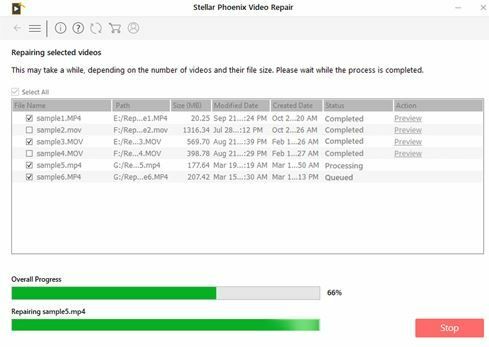 Step 4:- Once all your video files are repair you can check the preview and save your repaired video files. If you apply above four steps as mentioned above i’m sure all your video files are repaired. Get to know about various hardware requirements and compatibility factors that should be considered before installing stellar video repair on your desktop or laptop, there is a good chance that the software will work well if the below-mentioned criteria are met. Memory- For windows operating system, the minimum requirement is 2GB RAM whereas 1GB Ram is enough for Mac users. Coming to the user interface, the software supports English, German and French Languages. Your hard disk should contain at least 50 MB free space to install this digital video file repair application. To repair a lengthy video you have to purchase premium software because the free version processes the files that are less than or equal to 10MB. Stellar video repair is equipped with a lot of new innovative features that can help in repairing slightly damaged videos automatically. 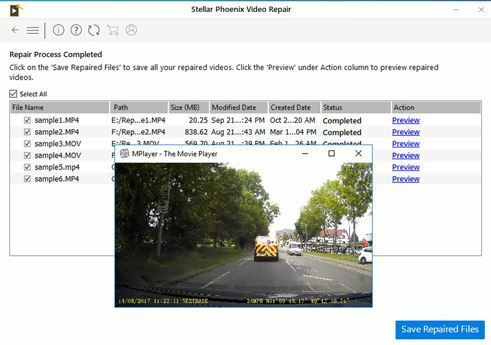 Don’t worry about safety and security while downloading the stellar video fixer; you can save it directly into your system without conducting antivirus and malware check. But there are certain limitations; this software cannot be installed on android or iOs phones. You can transfer the damaged video files from your handheld gadgets to your windows operating system or MAC. Once the video gets fixed, you can send back the new file to your phone’s memory. Files stored on hard drive or memory card can be processed easily.